Gadus morhua is the name of the big fish that - if dried - is known with the name of stockfish, and - if salted – is known as baccalà. A present from the Northern Seas, in the 16th century it began its triumphant conquest of Genoese and Ligurian tables, where it features in a myriad recipes. The fishmongers and the specialty shops of the region’s historical centres are the ideal stop overs to enjoy this white, firm fleshed fish, rich in proteins, which is at its best boiled, stewed (stockfish), baked or al verde – cooked with EVO oil, parsley, garlic (baccalà). Liguria is an emblem of Italian wealth of food traditions and biodiversity. 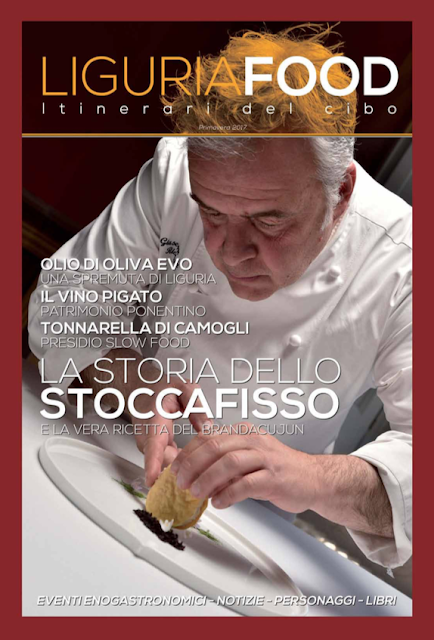 Renowned food&wine expert Umberto Curti researched stockfish in a recent article on the “LiguriaFood” magazine – check the link and practise your gourmet Italian!